Comment: Looking to have a large living room and large bath room, both with vaulted ceilings painted. Comment: Home is half siding, half brick. We would like a quote to paint the siding a light brown/tan, or grey. Geels Paint & Wallcoverings, Inc.
Rogers Painting Contractors are rated 4.80 out of 5 based on 272 reviews of 27 pros. 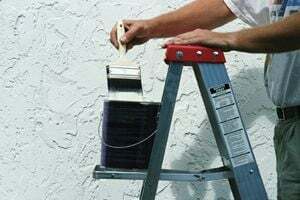 Not Looking for Painting Contractors in Rogers, AR?